I've reached a point in my current WIP where each row feels like an eternity, and the prospect of frogging is extremely daunting. The first row of the final section. If I had worked this pattern all the way through the first time, my mishap might have been avoided. But at the time, I was content with the size of my shawl. This time around, part of my goal is using up yarn and with several hundred yards left of yarn, I really need to go on and complete the final section. I've learned that charts are a wonderful addition to a written pattern, but only helpful if you actually look at them. In my haste to keep moving, I misread the pattern (forgetting to look at the charts) and will be spending my afternoon frogging the last row. And of course, I only think to take picture in the evening, so the colors are out of whack. 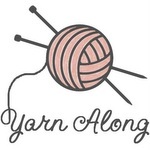 As I've mentioned before, I'm using three yarns for this pattern. The little bit of blue at the top of my photo is my start on the Hexy shawl in Knit Picks CotLin. 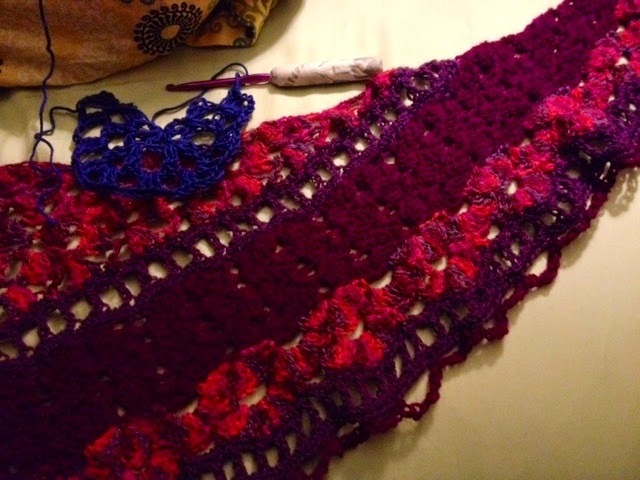 To combat the tedium of the long rows, I started this shawl which has been on my list for a few weeks. This shawl stuck out to me because it had an interesting stitch pattern while also not being triangular. My reading has been intermittent, as this week E and I have been focusing on moving. The final day is Saturday, with a number of his work buddies coming over to help with the larger furniture. I'm really anxious about it, but I'm trusting that everything will get done in good time. 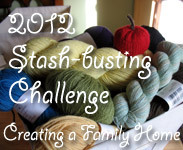 Joining with Tami & Ginny! Love those reds! Thanks for sharing. I try to take the photo the day before, before dinner or else mine would be in the dark. After a few weeks I got in the habit. Lovely project, looks complicated!